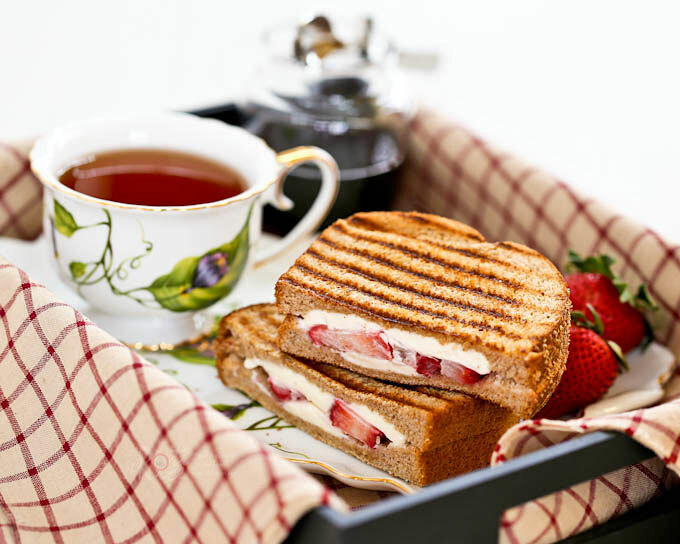 Enjoy your fruit and sandwich together in this Strawberry Grilled Cheese Sandwich. Delicious as is or drizzled with maple syrup. What can I say about one of America’s most beloved sandwich that has not already been said? To many, a grilled cheese sandwich is comfort food eaten throughout the day. 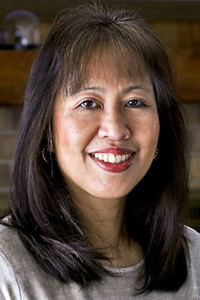 As such, it is not only found in home kitchens but also in most diners and restaurants around the country. It is the default breakfast, lunch, or dinner when one is unsure of what to eat. The basic grilled cheese sandwich consists of bread, butter, and cheese grilled to golden perfection. To most kids this is the only version they want and crave for. Adults with discerning taste buds are a little harder to please. Many have come up with their version of the ultimate grilled cheese sandwich with popular additions like eggs and bacon. 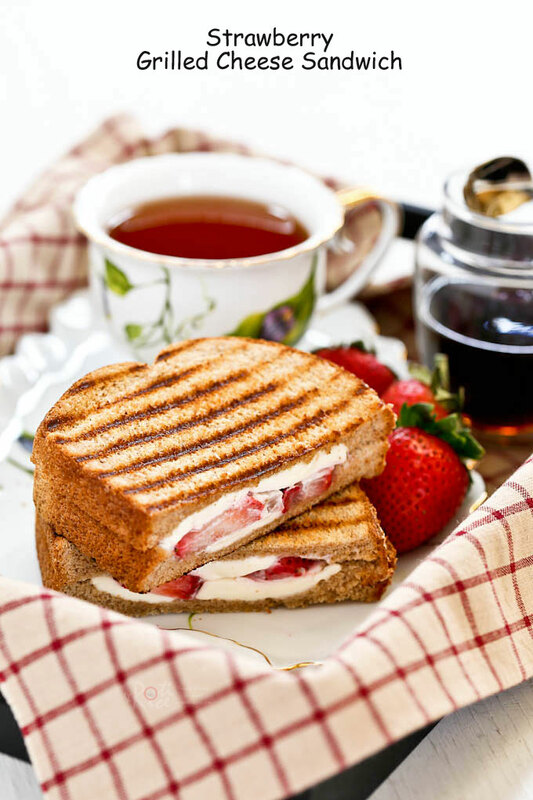 While grilled cheese sandwich is usually savory, there is no rule against a sweet version with fruits. 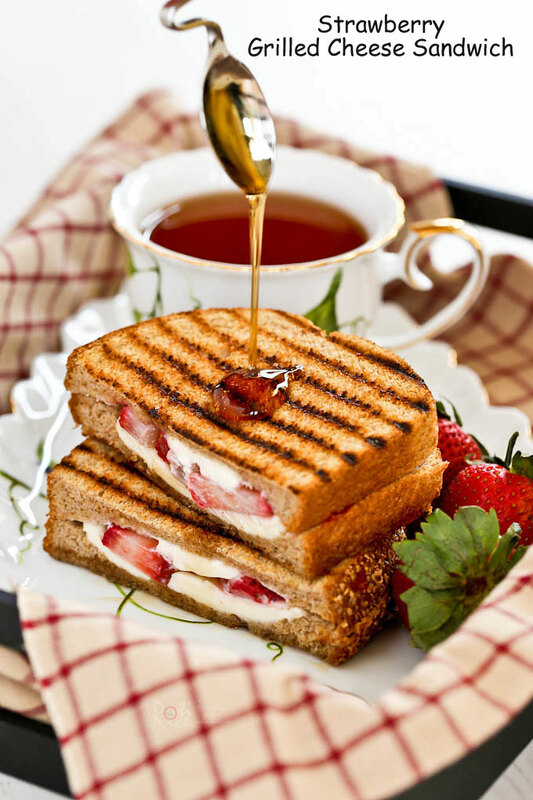 Hence, this Strawberry Grilled Cheese Sandwich with cream cheese and seasonal strawberries drizzled with maple syrup. This sweet fruity sandwich is “adult” and delicious enough to be served as a tea time treat. 😉 Do give it a try. Place slices of bread on a clean work surface. Cut cream cheese into 8 thin slices. Place 3 slices of cream cheese each vertically on 2 slices of bread. Place 2 rows of sliced strawberries horizontally on top of the cream cheese. Then place a slice of cream cheese on the top. Sandwich with remaining slices of bread. Heat butter on the stove in a grill pan. Place sandwiches in the pan and allow it to cook for 2 minutes. Flip and cook for another 2 minutes. Remove and serve with maple syrup if desired. Looks great! Thanks for the recipe. Delicious especially with balsamic glaze. A little messy but definitely worth it. ?